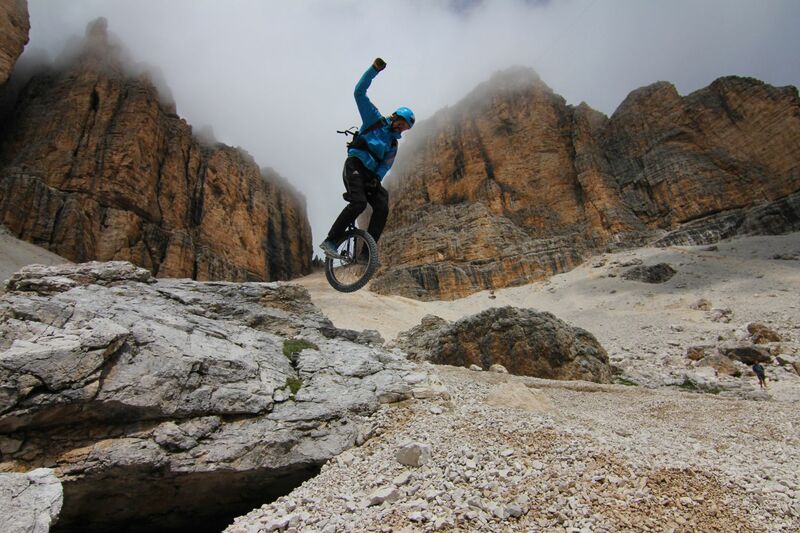 As a Mountainunicyclist I decidet that it is the best choice to spent my birthday in the mountains. 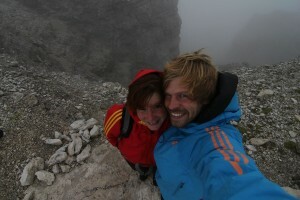 This time I traveled to the dolomites together with my Girlfriend. Up the mountains we hiked together and down I cycled a little bit ahead to hike up some parts twice to have extra fun. Thanks to discovery channel Canada one of the descents was filmed and I look forward to the result. Up for now the pictures Giulia took, look already promising. Great pics, Lutz, and Happy Birthday! Wooooohoooo!!! Awesome. What a great way to celebrate a birthday! Now I know where you have been on your Birthday 😛 Good to know.